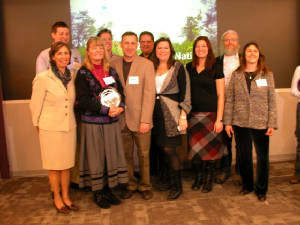 In January 2011, Chicago Wilderness and the Illinois Environmental Protection Agency recognized MOLA and our partners with the 2010 Conservation and Landscaping Award. 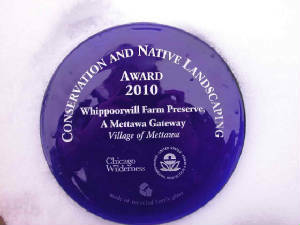 This honor acknowledges the unique work and partnerships which restored Whippoorwill Farm Preserve (WFP) to a native landscape. MOLA worked closely with researchers from DePaul University on this groundbreaking buckthorn research project. The academic research paper was published in 2013. The teamwork on this site transformed a buckthorn thicket into a outdoor laboratory which explored the best ways to reclaim degraded land from invasive buckthorn. Under the leadership and guidance of MOLA President Cheryl Pytlarz, this project took place at the Whippoorwill Farm Preserve, a Village-owned property at the corner of Illinois Route 60 and Riverwoods Boulevard. 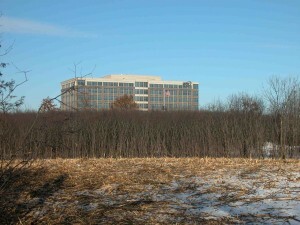 A former horse pasture, it had been completely overtaken by buckthorn trees with a density of about one tree per square foot, and an average tree height of nine feet. The Village had contracted with MOLA to manage the restoration of the site to a native landscape. Researchers used Whippoorwill Farm as an outdoor laboratory. On two acres, they divided the land into small plots and used variations of ten different buckthorn control methods to determine which ones worked best. The remaining ten acres were treated with more traditional methods by MOLA and two contractors. Integrated Lakes Management cut the buckthorn and applied herbicide, and Tallgrass Restoration shredded the downed trees and tilled them into the soil. The field was temporarily planted with a cover crop, then later seeded with native plants. Three major conclusions were drawn from this study: 1) buckthorn mulch should not be used to fight reinvasion, 2) tilling can greatly reduce reinvasion 3) the importance of follow-up removal of young buckthorn. 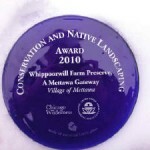 This project was awarded the 2010 Conservation and Native Landscaping Award from the U.S. Environmental Protection Agency and Chicago Wilderness.